Being involved in a motor vehicle accident on bicycle results in catastrophic injuries or death in the majority of cases. A 200 lb. cyclist against a 5,000 lb. SUV is no contest and results very often in a serious brain injury, multiple fractures, or death to the cyclist. How much is my bicycle accident injury claim worth? Recently e-bikes or electric bikes have become popular. 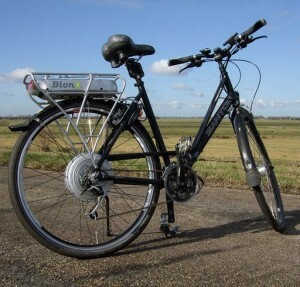 There are many different types; from a sophisticated Canadian made world renowned Bionx electric bike, which assists the pedaling based upon the amount of force applied to the pedals, to a simple motorized bicycle with a throttle. Regulations in the Lloydminster – Vermilion – St. Paul – Cold Lake, Alberta cities provide that these electric bikes may be operated on bicycle lanes as long as they do not exceed 30 km/h, in other words the motorized speed capacity must be limited to 30 km/h. Operating an electric bike at 30 km/h without engaging in muscular effort raises the issue of safety with respect to impaired operation of an electric bike. An electric bike is defined under the Criminal Code of Canada as a motorized vehicle (unlike the provinces which classify them as bicycles). Therefore, operating an electric bike while your blood alcohol level is over .05 in Alberta as of July 1, 2012 will result in a 3 day license suspension and a 3 day vehicle seizure. This will of course result in problems with your license for driving any motor vehicle. Moreover, from an injury point of view, operating an electric bike while impaired, reducing your ability to properly balance the bike, is more likely to lead to death or major bodily injuries including fractures or brain injuries as a result of improper judgment on these electric bikes. Also note that if you are banned from driving a motor vehicle because of an impaired driving charge from driving a motor vehicle you may not operate an electric bicycle! 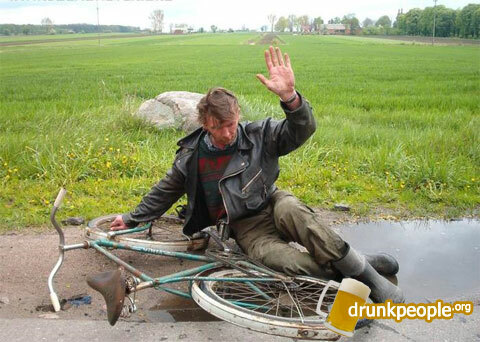 Also, interestingly, you cannot be charged with impaired driving if you are operating a regular bicycle while impaired. Of course, operating a regular bicycle while impaired will greatly increase your chances of a serious bodily injury from collision with another motor vehicle or a sign post or a lamp post and therefore is an activity one should not engage in even though it is not technically illegal in Canada. As the person at fault you will not be able to hire a personal injury lawyer to claim for damages, or a wrongful death lawyer in the case of a fatality. Only innocent victims of collisions have the right in Alberta to hire an injury lawyer or wrongful death lawyer to claim for damages.